For me, there are three issues that interest me when it comes to the activities of the government. First, the government’s activities need to be transparent, accountable and effective in terms of time and expenditures. This is what Deputy Speaker of the National Assembly of Armenia Lena Nazaryan stated during a discussion on the changes in the structure of the government at the National Assembly on 17 April. According to her, the second issue is oversight over the activities of the government by the National Assembly, and the third issue is the effectiveness of the government’s activities. “Now I want to understand which of these three we are dealing with. 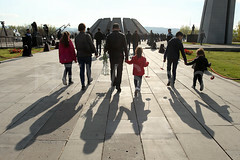 Armenia has never had a Prime Minister and government that is as transparent as the current Prime Minister and government. Mr. Marukyan, as far as parliamentary oversight is concerned, by recommending conversion of the National Security Service and the Police into ministries, you want to further empower the heads of those structures, not oversee their activities. 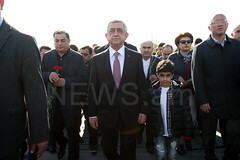 The checks-and-balances you refer to won’t work in this case,” Lena Nazaryan said. As for the proposal of head of the My Step faction Lilit Makunts on establishing, by law, that the director of the National Security Service, the chief of police, the chairman of the State Revenue Committee must come to the National Assembly and answer deputies’ questions, Lena Nazaryan said the parliament will make constitutional reforms, if those reforms are required for that.